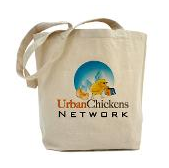 Urban Chickens Network blog: Do urban chickens attract urban rats? Ewww, what's up with all these @#$! rats? The sudden arrival of rodents in the neighborhood is an issue no one particularly likes. And when they do arrive (or simply come out of hiding), folks are quick to try and find someone or something to blame. Enter urban chickens to take the blame. I fear some urban chicken proponents might be too quick to state that urban chickens are NOT the reason rats show up in a neighborhood. areas of clutter also provide nesting spots for rats. I won't argue with any of the above facts (I had a pet rat in college and can see each of these as true). Moreover, I can see where irresponsible storage of food or upkeep of one's yard could contribute to many of the attractions for rats. However, to link the appearance of urban rats solely on the keeping of chickens in an urban setting seems to be using a bit too broad a brush to paint the blame. There are many food sources, not the least of which is improper keeping of trash in between pickups, leaving kibble in a bowl for "outdoor cats" or yard-kept dogs, seeds and pellets in a bird feeder, etc. Responsible urban chicken farmers know to keep a clean coop, to only put as much feed as necessary out for the chooks while storing the rest in an air- and water-tight container, and disposing of any coop clutter (poop, nesting material, etc) quickly and thoroughly. So, yes, the opportunity is there for irresponsible urban chicken keeping to attract rats, but common sense (which unfortunately seems in short supply in some places) should help keep rats from becoming a problem. Have you noticed rats around your hen house? How have you taken care of the problem? 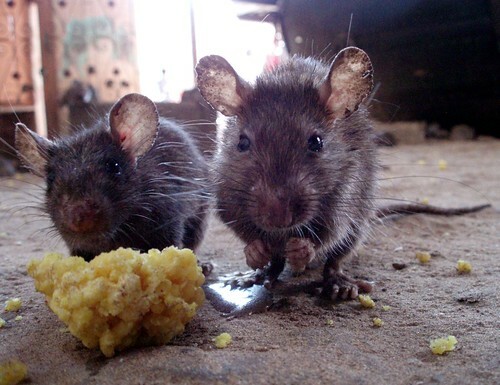 UPDATE (2/22): Following a discussion on rats on a listserv, I found this great resource from UC IPM on how to "manage" rats: Rat Management Guidelines. We actually keep the chicken food in the garage in a sealed container so rats would have to force their way into the coop in order to have any chance of finding the hens' food. I've read where chickens pretty much attack rats on site, too. No rats in my coop or run, but I'm sure that mice are visiting. There have been mice in the (detached) garage since I moved in to this house, well before getting chooks. There are no food sources in the garage (all seed and other edibles are kept either in the house or sealed inside metal containers) so I guess the mice are just using the garage as a dry shelter. I'm sure they find plenty of seeds and such on the plants in my yard, and may steal a bit from the hens if they can. The only rats I've seen in the neighborhood are hanging out around the open trash bins. They much prefer the leftover pizza, chicken bones, etc. that are spilling out of these improperly managed containers. We don't have rats here, either. We keep the food in the garage and bring in the girl's food at night. We have owls and hawks in the neighborhood which helps keep the rodent population down, I think. We have rats here especially in the winter. I cover my eglu run with a plastic tarp and blanket so I think the rats burrow in there to keep warm and of course for all the food the chickens drop on the floor. We take the food in at night and seal it all in a metal container in the garage. We had this problem last year as well but once we removed the cover they didn't come back. This year we put 1/4 inch wire mesh under the coop but I think we must of left a gap. We also put out glue traps but of course it snowed as soon as we did. Of course for living in the city of Chicago our back yard is quite the urban wilderness. I've seen oppossum, rats, mice, feral cats, squirrels, raccoons and tons of different types of birds. when the food is in a safe place no rats can get chicken food. so i think everyone should keep food in safe place. Have not seen a rodent problem so far. Our chicks are 9 months old. We keep their food/supplies in our coldframe/greenhouse.